Gary Schmidt has been disqualified as a candidate for state Senate District 16. 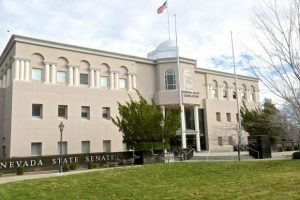 Schmidt filed to challenge incumbent Republican Sen. Ben Kieckhefer in the district that covers south Washoe County, North Shore at Tahoe and Carson City. But Kieckhefer challenged Schmidt’s candidacy saying Schmidt doesn’t actually live in the district. Carson District Judge James Wilson on Friday agreed with the Attorney General’s office that Schmidt doesn’t live at the address he listed when he filed. Wayne Thorley, elections deputy to Secretary of State Barbara Cegavske, said Schmidt listed the Reindeer Lodge on the Mount Rose Highway as his residence but that building collapsed during the heavy winter last year. Schmidt said at the time the roof caved in under the weight of some 25 feet of heavy wet snow. “He doesn’t claim he actually sleeps there,” said Thorley. He said Schmidt told the court he’s temporarily living elsewhere until the damage can be repaired. But Thorley said the judge agreed that doesn’t seem consistent with what has happened since. He said Schmidt hasn’t made efforts to make repairs and, in fact, put the Reindeer Lodge up for sale. He said Wilson ruled Schmidt doesn’t meet the requirements for residency and ordered him disqualified from holding the office even if he wins the primary against Kieckhefer. He ruled from the bench and a formal written order hasn’t yet been filed. Thorley said the ballots have already been printed so Schmidt’s name will appear on them. 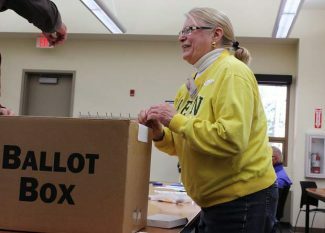 He said, however, signs will be posted at voting locations in the June primary notifying voters Schmidt is disqualified. Schmidt said the matter will be appealed as soon as Wilson files a written order but he declined further comment on the advice of his attorneys. This isn’t Schmidt’s first attempt to win the District 16 seat. 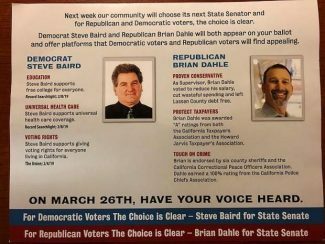 He ran against Kieckhefer in 2014 and was defeated in the primary 67 to 33 percent. 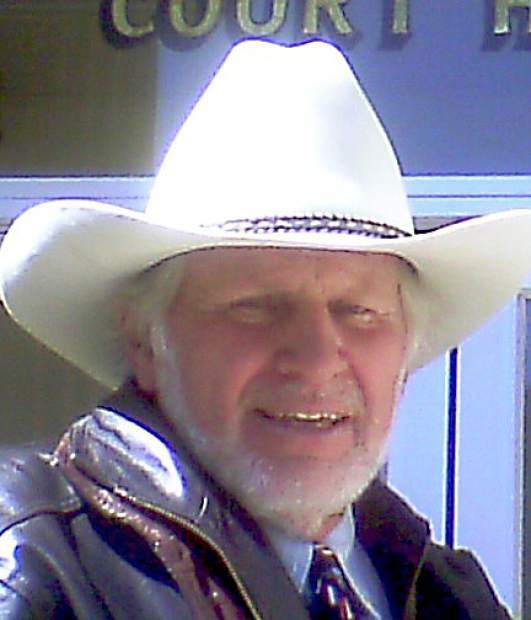 He ran in Assembly District 39 representing Douglas, Storey and Lyon counties in 2012 and in Washoe Senate District 2 in 2010.